Catalogue for an exhibition at the Folger Shakespeare Library in Washington, D.C., presented from January through May 2013. I produced all exhibition graphics in addition to the catalogue. The book reproduces a generous selection of objects from the exhibition and adds other illustrations to support the narrative. 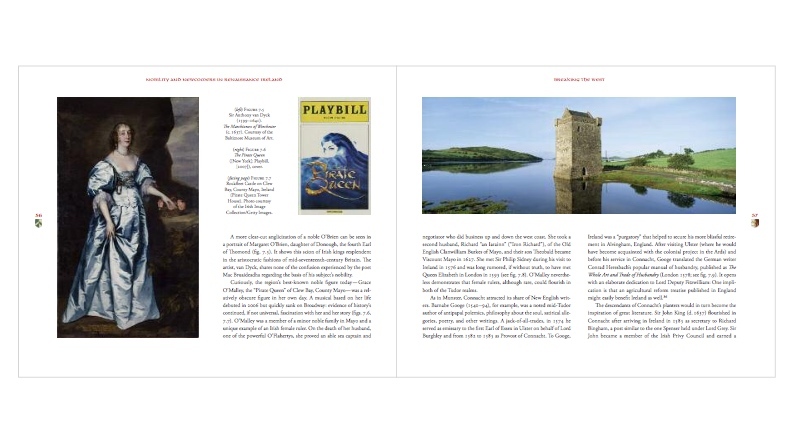 The catalog is printed in full color on smooth-finish uncoated paper, with 127 illustrations — a generous number of them occupying an entire page. 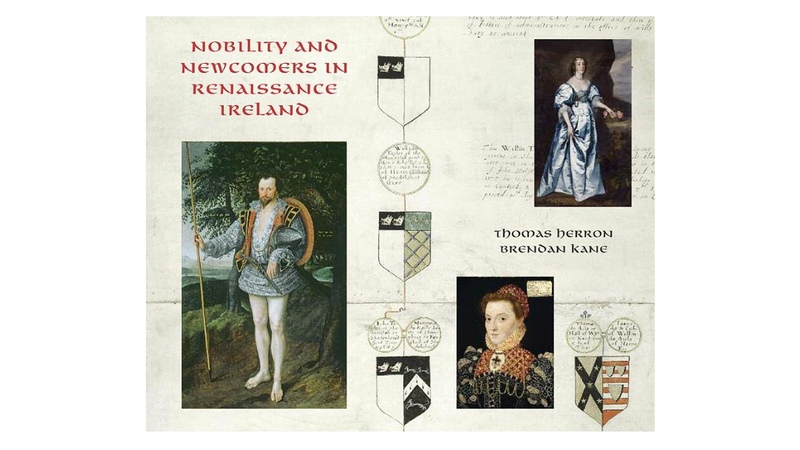 Each page folio is accompanied by a different heraldic device, adapted from a period study of Irish noble families.